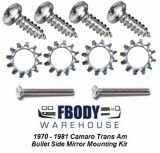 Working on a specific area of your Camaro or Trans Am and just need heat and sound barrier for exactly the project you are currently working on? No worries you can now order HushMat for only the areas you need it for! No more wasted material and this is a economical way to achieve the results you desire without the expense! No special tools are required for installation. The HushMat Ultra silver is more conducive to paint operations, while the HushMat Ultra black is designed to be applied post paint and for surfaces that may be exposed to light (non-reflective). Eliminates road noise, vibration and provides thermal insulation. Automotive OEM specified and approved for over 18 years! HushMat Ultra requires no pre-cleaning of the application surface. No more acetone or alcohol surface preparation. HushMat Ultra requires no heat guns or messy glue to apply. One-Step application with HushMat Ultra... Simply Peel & Stick! Proven to perform from -30° F to 400° F.
Door Set Includes: Ten 12" x 12" sheets available in either black or silver. 10 square feet (.93 square meters). A door set is designed to effectively treat two doors. Treat the inside of the outer door skin, door frame and back of the door trim panel. Replace that cheap metal, rattling noise with a solid sound when you slam the door. You will notice a significant difference! Trunk Set Includes: Ten 12" x 23" sheets available in either black or silver. 19 square feet (1.8 square meters). A trunk set is designed to effectively treat the trunk floor, spare tire well, rear quarter panels and rear deck of a vehicle. Reduces interior noise caused by aftermarket exhaust systems. 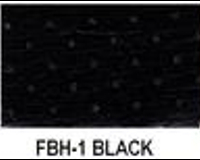 Floor and Firewall Set Includes: Twenty 12" x 23" sheets available in either black or silver. 39 square feet (3.7 square meters). A Floor/Firewall set is designed to treat the firewall, driver front and rear floor, passenger front and rear floor and tunnel. This eliminates vibration noise caused by the engine and rough road surfaces. It also prevents thermal engine heat and drive train heat from absorbing through the tunnel. Enhance the pure sound and comfort of your driving experience with HushMat. License Plate Rattle Barrier with License Plate Frame Included! One 4" x 12" Sheet. 0.33 square feet (0.1 square meters). Designed to eliminate the nuisance rattling of your license plate due to sub woofer vibration or loose fitting frames. We also include a HushMat license plate frame in every box! Use the drop down menu below to select shipping location!